You’re hungry. You need a drink. You’re going out for dinner or lunch. But it’s gorgeous outside and the thought of sitting in an air-conditioned restaurant makes your heart sink. 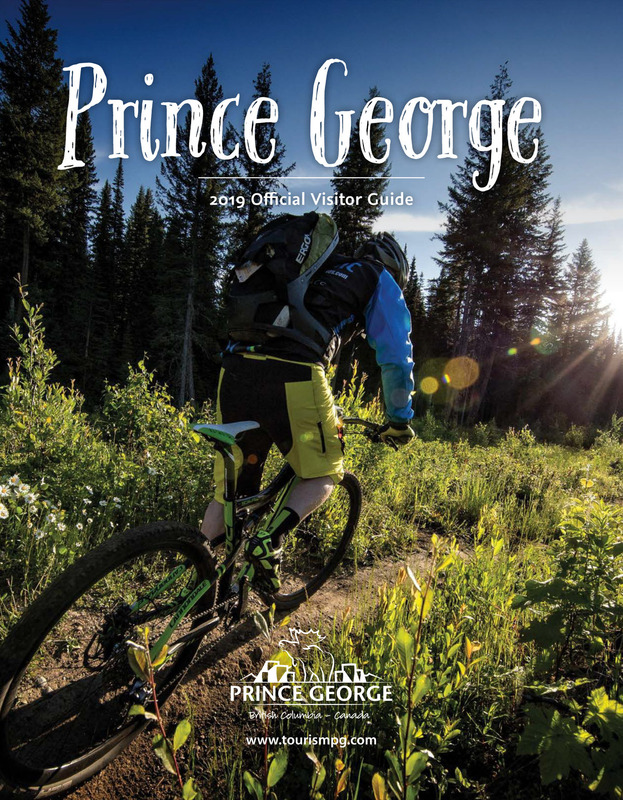 No worries –Prince George has a great offering of fantastic patios to choose from, for whatever you’re craving and whichever part of town you’re in. It was tough work, but I took the liberty of indulging myself at the best of them to let you know which are the best of the best. Hands down, Cimo Mediterranean Grill is my favourite restaurant in Prince George. And the fact that they have a stellar patio in the summer is icing on the cake. Located downtown PG along Victoria street, they have pasta to die for, great sandwiches, delicious coffee and a fantastic wine selection. When it comes to lunch or dinner, I usually go intending to try something new, but at the last minute cannot resist my favorite: the angel hair pasta. It seems simple with baby shrimp, roma tomatoes, garlic and fresh basil but it’s seriously the best, and you’ll love it… again and again and again. Grab a spot in the sun on the cozy patio, start with the tapas platter and a flight of wine and you’ll be beyond satisfied when you leave! The service is true class all the way too. The Keg is the Keg in any BC city from what I’ve seen – you know you’re always in for a good steak, or my favorite, king crab legs – but their patio in downtown Prince George is a gorgeous escape from the hustle of George Street, and the fact that it’s a short trip from where I work makes it a great spot for an after-work glass of sangria on a sunny day. The patio here is quite unique, with comfy cushioned seating and a pretty water wall at one end. I usually order an appy or two with my red wine sangria and couldn’t ask for more. Similar to the Keg, you’re in for a consistent meal at our PG Earls, but many locals will tell you that this patio is the best in our city. Situated in the middle of town, along Highway 97, their patio is definitely one of the biggest in town and has canopies for the summer sun and heaters for the evening cool. When I went recently, I ordered the fish tacos with an amazing pomegranate vanilla mojito, which along with the palm tree décor, made me feel as if I were almost in the tropics. This patio is definitely great for lounging with friends during the afternoon, meeting for lunch or fueling up for a night on the town. The servers are beyond friendly here too! At the north end of town, in a quiet, laidback area called “The Hart” – a happy spot for me, given this is where my family lived in my teen years – resides the Alpine Pub & Grill, on the corner of Kelly Road south and Vellencher Road. My visit here for this post was my first time on the patio and I was impressed with the simple, chill feeling of the place. As you may have guessed, the pub looks like a Swiss alpine style house and the patio is surrounded by trees and bushes, and is very quiet. The food is decent – your usual pub fare is available, with good daily specials – and the service is friendly. I had the turkey clubhouse, which was tastier than most I’ve had. This is a true “locals” pub with a friendly spirit. Café Voltaire at Books & Company – The patio outside Café Voltaire is a very quaint little spot to have a coffee or latte, read a book and watch the people come and go from the bookstore. They also have a good selection of sandwiches and salads for lunch. Ohh… Chocolat Cafe – Downtown Prince George, this local café has delicious paninis and amazing treats! Choose from a huge assortment of chocolatey goodness like truffles and chocolate covered sponge toffee (you can even watch them making these through the window!) or baked goods like big crumbly muffins and scones, then take your treat and Mayan hot chocolate (one of their specialties) to their small sidewalk patio and watch the people go by. Ice Cream Express – I’ll take a double scoop of chocolate espresso ice cream in a waffle cone please. Whether you’re looking for an afternoon refresher on a hot day or a quick dessert with the kids, this ice cream stand along Highway 16 is the best, and has several picnic tables to chill out on (pun intended) as you eat your chilly treat. Originally written for the HelloBC blog.